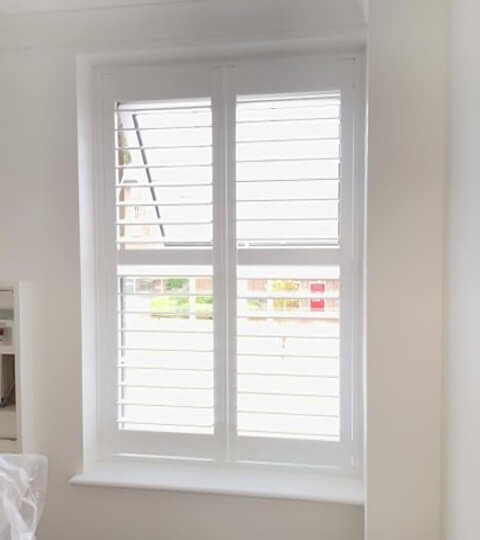 Ben was recently in Purely, Surrey to install some shutters throughout a client’s home in Purely in Surrey. 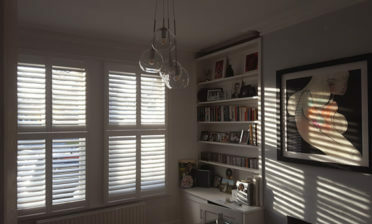 The shutters were to be fitted in multiple rooms including a bathroom and bedrooms. 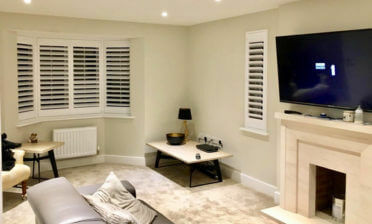 By discussing in detail with the customer we were able to come up with the perfect shutters for this home which would help to give the home a more modern look throughout. 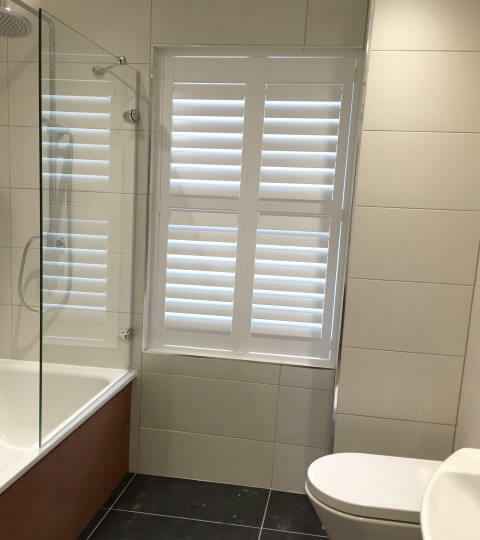 Because all our shutters are custom made we can make sure that each room has a matching style and finish, even if the windows are slightly different sizes. 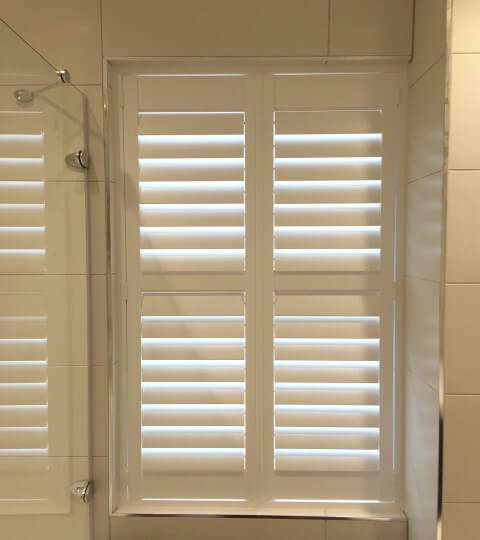 These shutters were all created in full height style with a mid-rail which not only helps to strengthen the shutters, but allows the top and bottom to be adjusted separately. This solution is ideal for those looking to have privacy on the bottom section while still allowing an adjustment of light or full lighting into the room from the top. 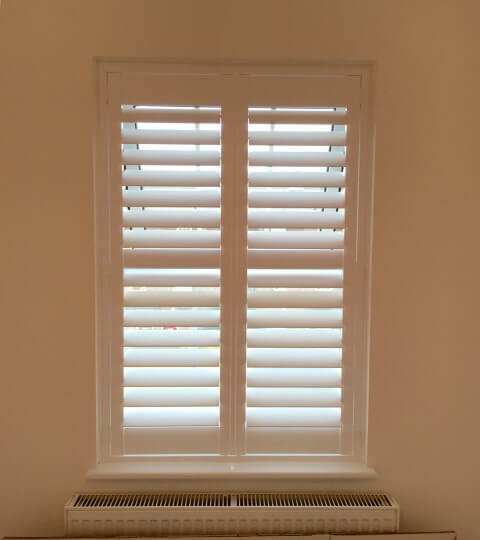 The 89mm louvres are adjusted using a hidden tilt rod system which allows the panel slats to be adjusted by simply touching one on the section. 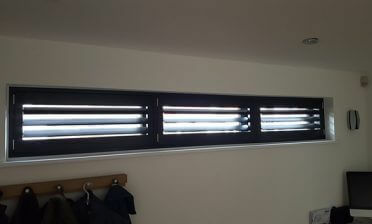 Using a clever built in system all the shutters in that section will move by the same amount through your touch. 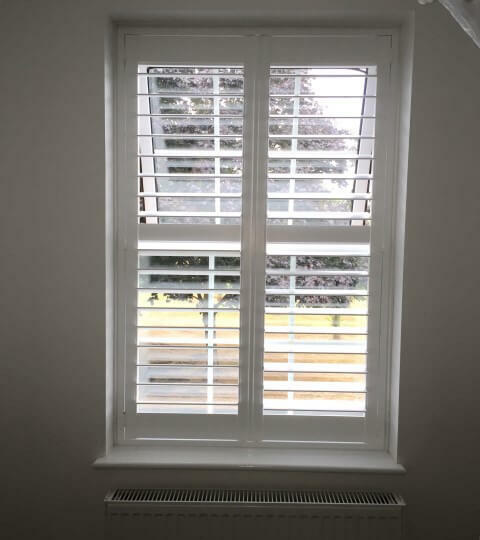 Not only is this a clever little system, but it helps achieve the modern/minimalistic look that the customer was hoping to achieve. 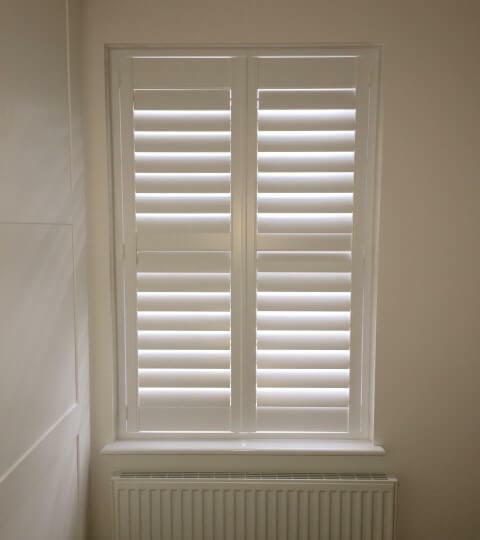 The shutters were finished in Pure White with matching hinges on every window.